Nothing makes me angrier than those awful commercials about how corn syrup isn’t bad for you. “OF COURSE CORN SYRUP IS BAD FOR YOU!” I want to scream (and sometimes do) at the T.V. Corn syrup is inexpensive to produce–which is why it’s such a popular ingredient–and is six times sweeter than the same amount of cane sugar. There is no conclusive evidence that corn syrup is worse for your body than regular cane sugar, but cane sugar isn’t good for you either. Duh. That’s like saying dying by drowning is the same as dying by smoke inhalation. Both options are awful and you end up dead in both scenarios! Really, Corn Refiner’s Association, just shut up. I don’t want to hear anymore about how wholesome and OK corn syrup is. It isn’t and you need to stop lying. The average American consumes over 40 pounds of corn syrup a year. I mean, gross. We all know that a diet heavy in corn syrup or sugar will pack on the pounds, cut your enegry levels down to nill, and put you at risk for diabetes. 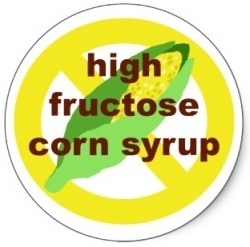 But a new study has proven that consuming large amounts of high fructose corn syrup actually damages your brain too. It will prevent you from learning new things as easily and causes reductions in synaptic activity in the brain. Luckily, researchers did discover that consuming omega-3’s helped combat some of those symptoms. So if you must indulge in sugary (or corn syrupy) treats, make sure you amp up your intake of salmon, walnuts, and flax to protect your brain! This entry was posted in Healthy, Phase 1 and tagged corn, corn-free, general health, news, omega 3, phase 1, sugar, sugar-free by mollykhodgin. Bookmark the permalink.